Matrix® AP Harmonic Filters provided the necessary solution for reducing harmonics to stabilize operations and increase efficiency. Good quality power can make a significant difference for many manufacturing plants such as those that build consumer electronics. Variable Frequency Drives (VFDs) are often used to control the water and ventilation systems for these plants. While VFDs can significantly improve efficiency, they can also introduce harmonics to the power system that will often cause operational issues and extended downtime. Plants need to mitigate harmonics to maximize uptime in operations, which is where MTE Corporation comes in with their harmonic filters. A global consumer electronics manufacturer building LCDs in China was suffering from stalled operations due to harmonics issues caused by VFDs. 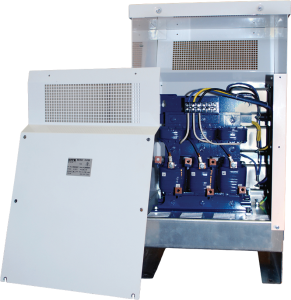 The system was overheating and there were too many instances of tripped circuit breakers and blown fuses leading to unacceptable levels of downtime. The six-pulse VFDs were generating harmonics that were too high for the LCD assembly plant, which requires a clean and stable power feed for profitable manufacturing. MTE Application and Sales Engineering teams worked closely with the technical and engineering teams at the electronics plant to support the implementation of a solution. The manufacturer evaluated different harmonic mitigation solutions from various passive filters to active front end technologies. The team at MTE helped the customer identify that their system, as with many manufacturing operations, does not run at full load all the time. 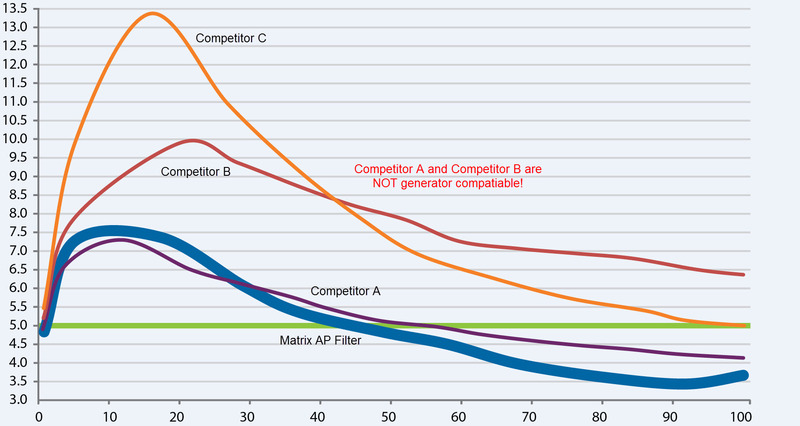 To meet the required harmonic levels, only MTE’s Matrix AP filters were up to the challenge. The customer completed side-by-side testing against other passive filters and active front end technologies and determined that Matrix AP filters were the optimal solution for their needs with optimum performance over the entire load range. The LCD manufacturer had to control harmonics and was confronted with various options from passive filters to active front end technologies. Only MTE’s Matrix AP Harmonic Filters went beyond the customer’s expectations and requirements providing superior harmonic mitigation performance. With its patented Adaptive Passive technology, MTE’s filters satisfied the THID performance needed, with less than 5% THID, down to 40% load. The Matrix AP filters also proved to be a more cost effective solution, from the ease of installation, to the virtually maintenance free operation. This solution ensured that this LCD manufacturing could continue, uninterrupted, with a stable, good quality power.